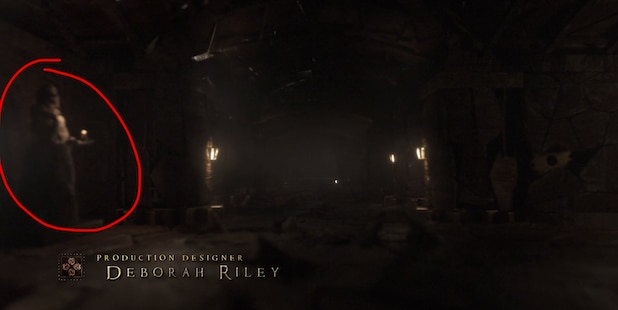 “Game of Thrones” fans have had 24 hours to dissect the new credits sequence that opened the eighth and final season premiere Sunday night. But we’re willing to bet all the money in the Iron Bank of Braavos that even eagle-eyed viewers didn’t spot every significant detail in the 1-minute 58-second clip, which you can view above. See below for a screenshot of that blink-and-you’ll-miss-it Lyanna moment. Hold on, we asked Kirk to explain that one a little more. In summation: Shintani says “everything that is going to be there for all six episodes in little bits and pieces,” those elements will have been in the Season 8 opening credits from the premiere episode, just maybe not in plain sight. Elastic’s creative director Angus Wall told TheWrap the team had been asking showrunners Weiss and Benioff to let them retool the “GoT” opening credits sequence for years and were “psyched that they finally said yes” ahead of Season 8. And boy, did they go to town with those new elements in the opening to “Winterfell,” from dwindling the map down to just The Wall, Winterfell, King’s Landing and the Last Hearth (shown for the first time), to finally going inside locations, to the tile path representing the White Walkers’ march south, to the change of the murals on the astrolabe to depict the fall of The Wall, the Red Wedding, and the birth of Daenerys’ dragons. All this retooling meant more man hours went into creating the opening credits for each of the final season’s episodes than Elastic has devoted to the previous year’s sequences.